On April 15, the new version of the ISO/IEC 20000 was released. 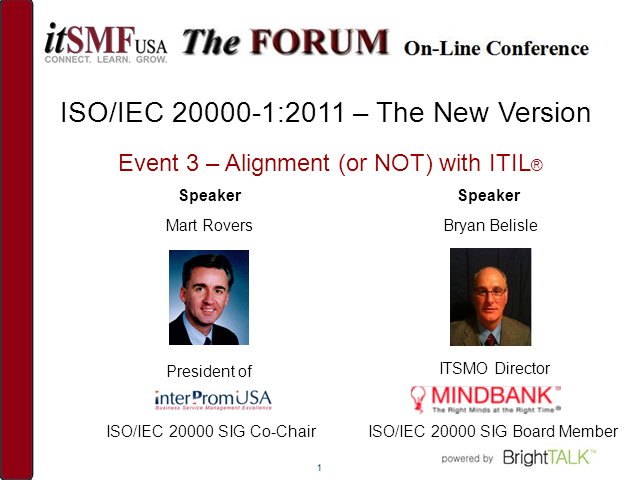 The itSMF USA ISO/IEC 20000 Special Interest Group will introduce the new version in a series of four webinars. In this third session we will provide an overview of how the ISO/IEC 2000:2011 standard lines up with ITIL and where it doesn’t.